Eight; 8 questions out of the 35 questions in the Radiation Protection and Quality Assurance content area come from the Radiation Protection sub-topic. “Limits need to be applied for public and occupational exposures." What is the principle of optimization? ALARA is an acronym for As Low As Reasonably Achievable. This term is based on the belief that exposure to certain agents could cause potential effects. The concept also implies that there is a relationship between the amount of exposure and the possibility of an effect. There is a risk involved in receiving the exposure. The basis for the ALARA philosophy is quite simple; if you reduce your exposure to certain agents, you reduce the potential risk of an unwanted effect. This basic method to achieve the ALARA principle is Time, Distance, and Shielding. The ALARA philosophy is based on the assumption that exposure to radiation poses a risk. The cautious assumption that a proportional relationship exists between dose and effect for all doses (non-threshold concept) is the basis for ALARA. There may be some risk associated with any dose. This is also called the linear model of exposure. When a radiation worker working radiation facility first should wear his Personnel Monitoring device. Radiation worker should follow the procedures or directions for particular to minimize exposure to him and also for the patient. Peoples other than authorised person to work or handle the radiation source or equipment are strictly banned. It leads potential situations. Avoid the unnecessary repetition of diagnostic procedure for particular patient. To avoid this type situation trained persons are allowed to work. Especially in nuclear medicine air borne activity and the situation is prone to radiation. Because of that must follow the procedures as it’s given for that work. To minimize the exposure pre-planned works should be implemented in all the works associated with radiation. 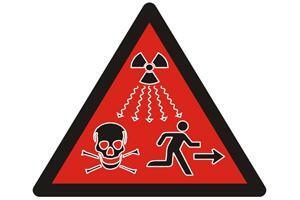 Non-radiation workers also should obey for postings and signs of radiation. The training programs shall be conducted by Radiological Safety Officer (RSO) to implement these types of works or procedures. Radiation Safety Fundamentals Workbook by university of California Santa crug and Environmental Health & Safety. 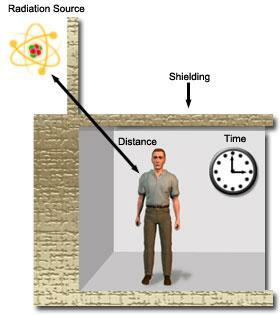 Basic methods of Radiation Protection consist of three strategies Time, Distance, and Shielding. These three methods have been widely used till now to reduce exposure of exposure to individuals, and public. The basic are explained briefly below. Time is one of the prime factors to reduce the exposure. Whatever be the radiation more time spends in that area more would be the exposure and vice versa. So, that tries to avoid the spending of more time in the radiation areas. The time consuming in some potential situations can be reduce by executing the pre-planned situations and works. In Emergency situations the work can be shared by group of people who are eligible to do that work. In this way also exposure will be reduce. 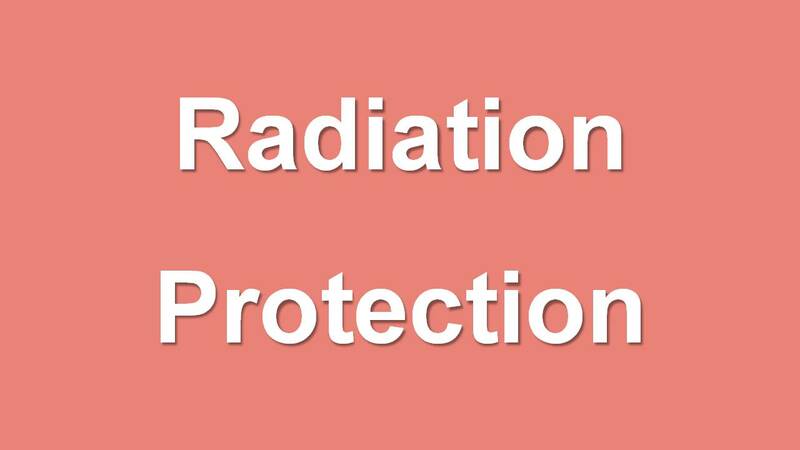 Figure shows the three factors of radiation protection. 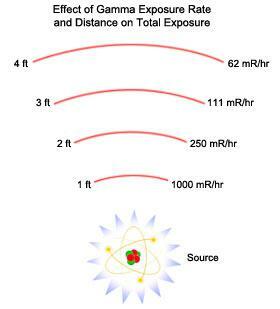 Below figure explains clearly the effect of distance in radiation protection. At 1ft exposure rate 1000mR/hr but, in 2ft it reduces to nearly 1/4th of the earlier one. 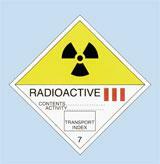 So that distance should be maintained when handling or working with the radiation sources. Perhaps to time and distance, shielding is significant one in achieving the radiation protection. Though, time and distance could be factor it is not possible to give enough distance and it is also not practical phenomenon. So, that adequate shielding is required to protect against radiation. The thickness of the shielding material could vary for different materials. Most common materials used for shielding purpose are listed below. Exposure rate measured at 8inches is 30mR/hr. what is the exposure at 2 inches? 2. What is the density of Lead? Maintain life time cumulative dose records of the users of the service. Film badges has been replaced by TLD’s because of fading at high temperature and humidity, high sensitivity to light, pressure and chemicals, complex dark room procedure. What is the range of measurement of doses in TLD? 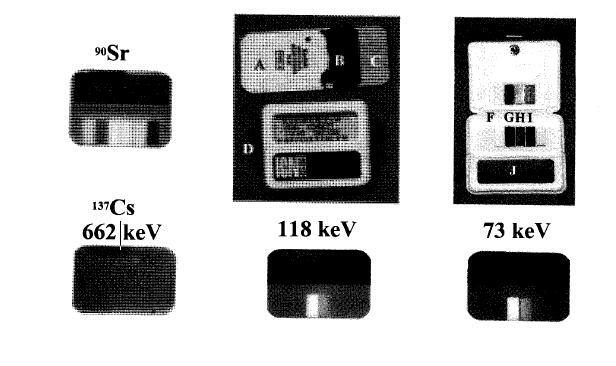 Text book of Radiological Physics, by Prof.K. Thayalan. Embryo or foetus exposure is the significant one when a pregnant radiation worker works in the radiation department or pregnant women undergoing diagnostic procedure or Radiotherapy treatment. Justification and optimization and dose limits are the three principles of radiotherapy. 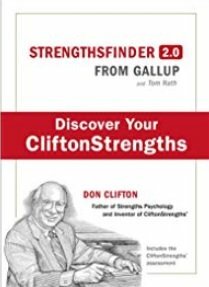 The above mentioned three principles should be following strictly. Prenatal doses from most properly done diagnostic procedures present no measurable increase in the risk of prenatal death, malformation, or the impairment of mental development over the background incidence of these entities. Higher doses, such as those involved in therapeutic procedures, can, however, result in significant foetal harm. There are radiation related risks throughout pregnancy that are related to the stage of pregnancy and the foetal absorbed dose. Radiation risks are most significant during organogenesis and the early foetal period, somewhat less in the second trimester, and least in the third trimester. During the period of ±25 weeks post conception, the central nervous system is particularly sensitive to radiation. 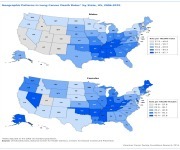 Fetal doses in excess of 100mGy may result in a verifiable decrease of IQ. During the same time, foetal doses in the range of 1000 mGy result in a high probability of severe mental retardation. The sensitivity is highest 8±15 weeks post conception. The CNS is less sensitive to these effects at 16±25 weeks of gestational age and rather resistant after that. 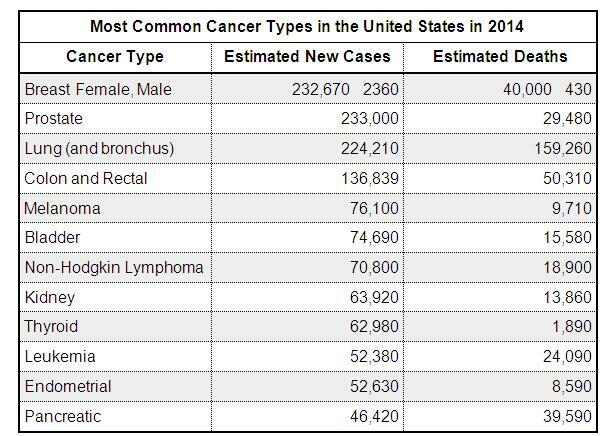 Radiation has been shown to cause leukemia and many types of cancer in both adults and children. Throughout most of pregnancy, the embryo\foetus is assumed to be at the same risk for potential carcinogenic effects of radiation as are children. According to ICRP – 84 foetal doses between 100 – 500 mGy, the decision should be based upon the individual circumstances. If the foetal dose exceeds 500mGy the significant foetal damage will occur. What is the dose limit for foetus or embryo? 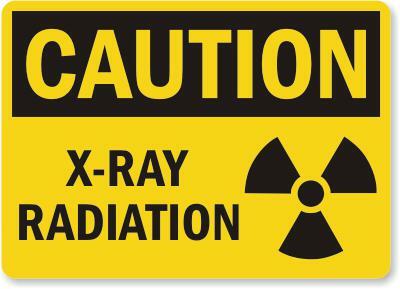 The radiation source using places for treatment, diagnostic and research purpose should be paste the below mentioned placard in the entrance of the door for safety of other people. The places are radiotherapy, nuclearmedicine etc. Each and every hospital and diagnostic centres should use the appropriate symbols and posters to guide the patient and other non-radiation workers in that hospital. 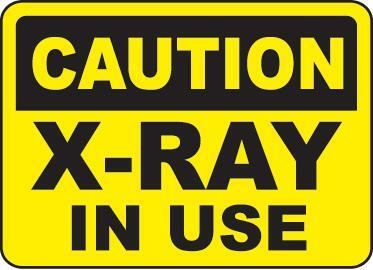 The Radiological Safety Officer in the hospital or diagnostic centre or research institutes should implement awareness regarding the radiation safety to the non-radiation workers in the particular institution. In that should discuss do’s and don’ts when they are approaching the radiation area. 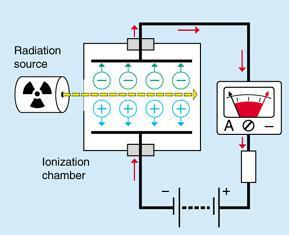 This will help to others indirectly in the radiation protection point of view. It is very sensitive and useful for monitoring for low level radiation especially in nuclear medicine department. GM type instruments rugged and less costly. 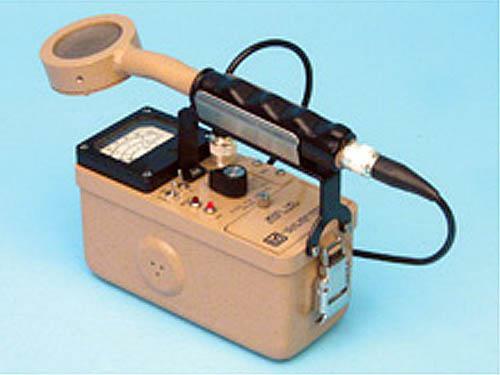 GM type meters are mainly used as radioactive contamination monitor with thin window of 1.5mg/cm2, and large surface area. Contamination monitor is shown below in the diagram. What are the quenching gases used in GM based survey meters? 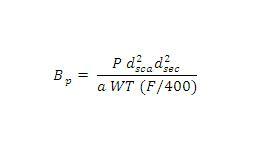 Calculate the primary barrier thickness of Co-60 unit. One TVL (density 2350 kg/m3)is 21.8 cm. permissible dose (p) = 0.12mSv/week, distance (d) = 3meter, use factor (U) = 0.25, occupancy factor (T) = 1 and workload of the machine is 384 x 103 mGy/week. the Textbook of Radiological Physics, by Prof. K. Thayalan. Atomic Energy Regulatory Board lecture notes. Ds - is the distance from the iso-centre to the point of interest in meter. The Textbook of Radiological Physics, by Dr. K. Thayalan.